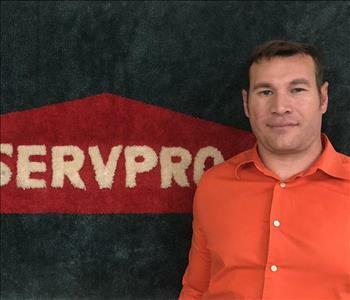 Benjamin Alcorn is the General Manager of SERVPRO of Mandarin. He has over 10 years of management experience. Benjamin studied business management, finance, and accounting at Michigan State University before moving to Jacksonville. 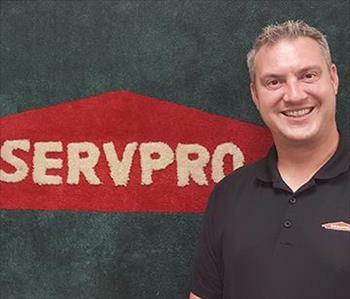 With over 20 years in the hospitality industry, Benjamin brings expertise in customer service, team management, and process management to our SERVPRO franchises. He completed SERVPRO Industries Inc.'s Franchise Ownership Training in 2016. Benjamin also holds an Institute of Inspection Cleaning and Restoration Certification (IICRC) as a Water Restoration Technician. Contact Benjamin by email at: benjamin@SERVPROmandarin.com, or by phone at 904-246-6118. Benjamin is a member of the Downtown Council of the Jacksonville Chamber of Commerce, a Jax Chamber Trustee, and was a past (2016-2018) fundraising volunteer for First Coast Blessings in a Backpack. Lauren Braddock Alcorn is the Commercial Business Development Representative for SERVPRO of Mandarin. She is an expert in Emergency Preparedness and can help get your business 'Ready for Whatever Happens'. 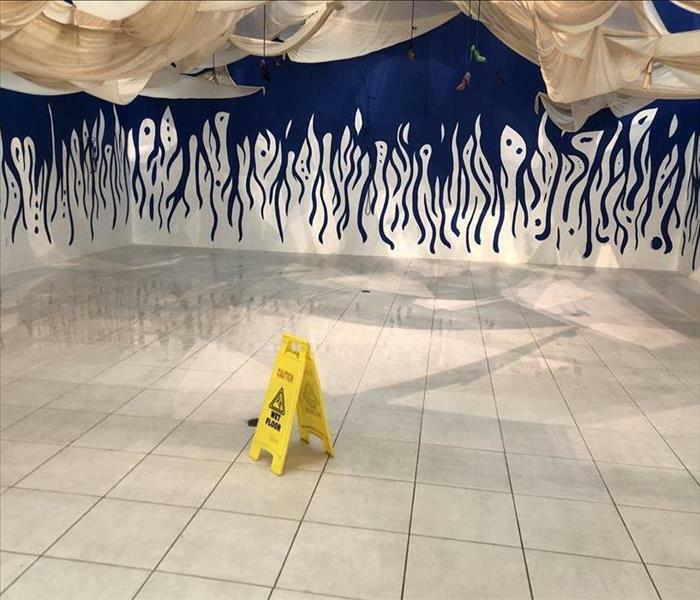 Email Lauren today at: laurenbraddock@SERVPROmandarin.com, for a complementary safety analysis of your commercial structure. Lauren also holds multiple Institute of Inspection Cleaning and Restoration Certifications (IICRC): as a Water Restoration Technician and as a Commercial Drying Specialist. She has completed the Franchise Ownership Training Program through SERVPRO Industries, Inc. (2017). You can't always anticipate disaster, flood, fire, or hurricane and storm damage, but you can have a plan in place to mitigate your loss and rebuild. This is especially important if you're located in the Beaches and Coastal Regions of North East Florida! Lauren serves on the Jax Chamber Board of Directors, and as the 2019 Chair of ImpactJAX, the young professionals division of the Jacksonville Chamber of Commerce. She has been a Board Member of ImpactJAX since 2016. She is also a member of both the Jax Chamber Beaches Division and Arlington Councils. Lauren is a member of the St. Johns County Chamber of Commerce, and the Ponte Vedra Beach Division of the St. Johns County Chamber. She also served as a First Coast Blessings in a Backpack volunteer (2015-2018), and was a Team Leader for Making Strides Against Breast Cancer's annual cancer walk (2016-2017). 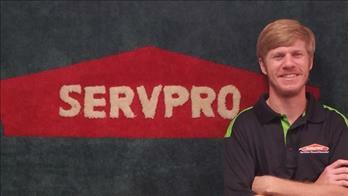 Andrew Braddock is the Product Evaluations Specialist and Crew Chief for SERVPRO of Mandarin. He has worked in our SERVPRO franchises for the past 14 years, and has the following certifications: IICRC (Institute of Inspection Cleaning and Restoration Certification) as a Water Removal Technician, OSHA/EPA Lead Paint Safety, & the Employee Certification Training Program through SERVPRO. For a fire, water, or mold loss in Jacksonville, or questions, call Andrew for an estimate 904-636-0044, or email him at: arb81087@gmail.com. 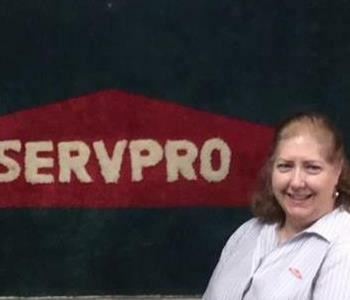 Robin Braddock has been the Owner of SERVPRO of Mandarin, along with Tom Braddock for the past 38 years. 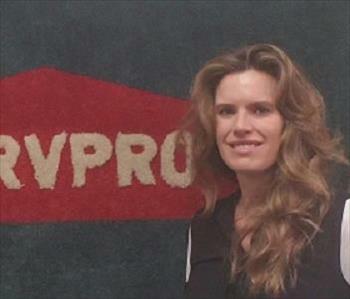 They purchased her first SERVPRO franchise in 1981. Robin has the following certifications: IICRC (Institute of Inspection Cleaning and Restoration Certification) in Water Damage Restoration, is a certified DryBook user, and has completed the DRI EAZ Education Restorative Drying 101. Email Robin today for assistance with your water, fire, mold, bio-hazard, or storm damage emergency in Jacksonville, St. Augustine, or St. Johns: robin@SERVPROmandarin.com. After 38 years in the industry, she is truly an expert in her field! Robin is a Mentor volunteer at Twin Lakes Elementary School (2015-2019) and is a Board Member Emeritus of First Coast Blessings in a Backpack. She is also a member of CAI, Community Associations Institute, Northeast Florida Chapter. Tom Braddock is the Owner of SERVPRO of Mandarin along with Robin Braddock. He is a proud Airforce Veteran, and has 41 years of experience in the Restoration Industry. Tom worked as a Technician beginning in 1976 for SERVPRO of Tallahassee while attending Florida State University. 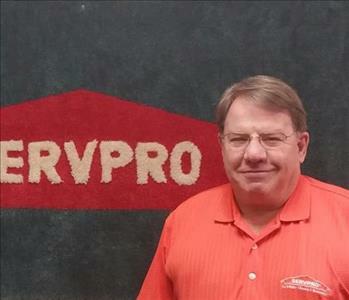 He purchased his first SERVPRO franchise in 1981. Tom has the following certifications: IICRC (Institute of Inspection Cleaning and Restoration Certification) in Water Damage Restoration, Applied Structural Drying, and Fire & Smoke Restoration. He also has continuing education certification in OSHA/EPA Lead Paint Safety from AAA Construction School, Inc. and the Employee Certification Training Program through SERVPRO. Tom served on the Board of First Coast Blessings in a Backpack from 2015-2018, and is a Mentor at Twin Lakes Academy Elementary, 2019. Lorie Harlow is the Office Manager at SRVPRO of Mandarin, The Beaches/Ponte Vedra, and St. Augustine. She joined our team in January of 2016. Lorie's professional experience includes Region Administrator for nonprofit and profit organizations. She has a Bachelors of Arts in Psychology Art from Western Kentucky University. Lorie has served on several HOA Boards and brings that experience along with her managerial skills to our team. Lorie has an Institute of Inspection Cleaning and Restoration Certification (IICRC) as a Water Restoration Technician. She thrives when taking on new challenges and is 'SERVPRO Ready' to take ownership of each customer and their needs. Email Lorie today at: lorie@SERVPROmandarin.com or call 904-636-0044. Jake Hoke is a Crew Chief on the Production team at SERVPRO of The Beaches/Ponte Vedra, Mandarin, and St. Augustine. He holds a certification from the Institute of Inspection Cleaning and Restoration Certification (IICRC) as a Water Restoration Technician. Jake brings an energetic and fun personality to every job and always makes customer concerns a top priority. 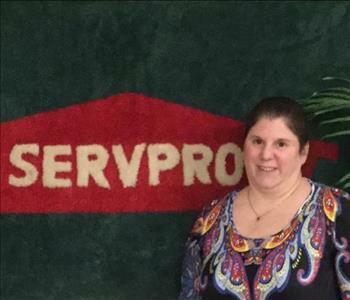 Lisa Lockwood is the Job File Coordinator for SERVPRO of Mandarin. She has been working with our franchises since 2016. Lisa holds an IICRC (Institute of Cleaning Restoration Certification) certificate as a Water Restoration Technician. She is ready to take your call at 904-636-0044, and answer any questions you may have on Fire, Water, Mold, Cleaning, BioHazard, Storm Damage, and Commercial Large Loss. 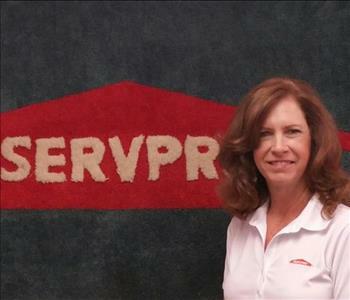 Ellen Taylor is a Business Development Representative for SERVPRO of Mandarin. Ellen is a former small business owner, and has over 12 years of outside sales experience. Ellen is a Disaster Priority Responder ready to give you quick assistance with fire, water, mold, or bio-hazard damage. She is currently working on her Institute of Inspection Cleaning and Restroation Certification (IICRC) as a Water Restoration Technician. If you are a Commercial Property Manager, Commercial Insurance Agent, Commercial Real Estate Agent, or Assisted Living Facility in Jacksonville, St. Augustine, or St. Johns, Florida, call Ellen at 904-540-6618, or email her at ellen@SERVPROmandarin.com to learn how SERVPRO’s Commercial Services, and our Emergency Ready Profile (ERP) can bring value to your business. Ellen is a member of the Jax Chamber South and Professional Women's Councils, and the Jax Chamber Beaches Division (2017-2019). She is also a member of both the St. Johns County Chamber of Commerce, and the SJC Chamber Ponte Vedra Beach Division (2016-2019). Ellen was a St. Johns County Chamber, Ponte Vedra Beach Division Ambassador from 2017-2018. 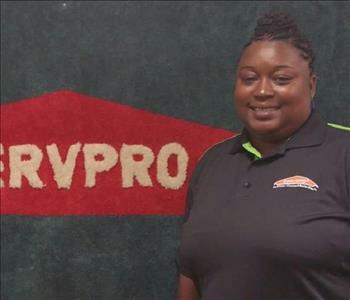 Jabora Thomas is a Production Manager for SERVPRO of Mandarin, The Beaches/Ponte Vedra, and St. Augustine. 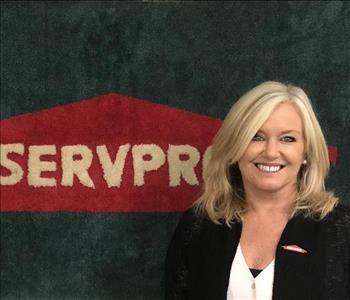 She has 14 years of experience in the restoration industry, and has the following certifications: IICRC (Institute of Inspection Cleaning and Restoration Certification) in Water Damage Restoration, Water Removal Technician, IICRC in Fire Damage Restoration, and the Employee Certification Training Program through SERVPRO. Jabora values customer communication and education, and will make sure you are comfortable with the work going on in your home or commercial business. Visit our testimonials page to read glowing customer recommendations about Jabora. Tim Smock is a Business Development Representative for SERVPRO of Mandarin. He is a Disaster Priority Responder ready to give you quick assistance with fire, water, mold, or bio-hazard damage. Tim holds an Institute of Inspection Cleaning and Restoration Certification (IICRC) as a Water Restoration Technician. If you are a Commercial Property Manager, Commercial Insurance Agent, Commercial Real Estate Agent, or Assisted Living Facility in Jacksonville, St. Augustine, or St. Johns, Florida, call Tim at 904-636-0044, or email him at timothy@SERVPROmandarin.com to learn how SERVPRO’s Commercial Services, and our Emergency Ready Profile (ERP) can bring value to your business. Tim is a member of the Jax Chamber Mandarin Council. He is also a member of the Northeast Florida Builder's Association (NEFBA). Tim is an expert in Mold Remediation processes and can help you get your home or business evaluated for Microbial Growth.